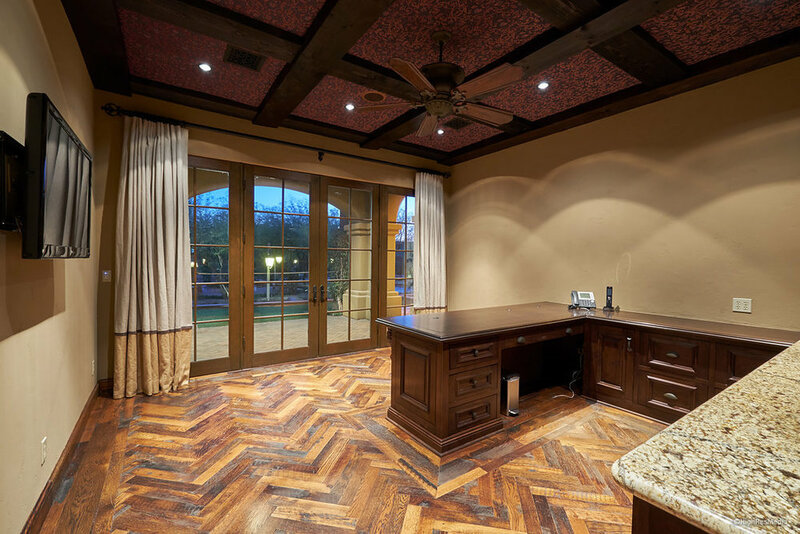 Silverleaf golf property! Hard-to-find one level home on the golf course. 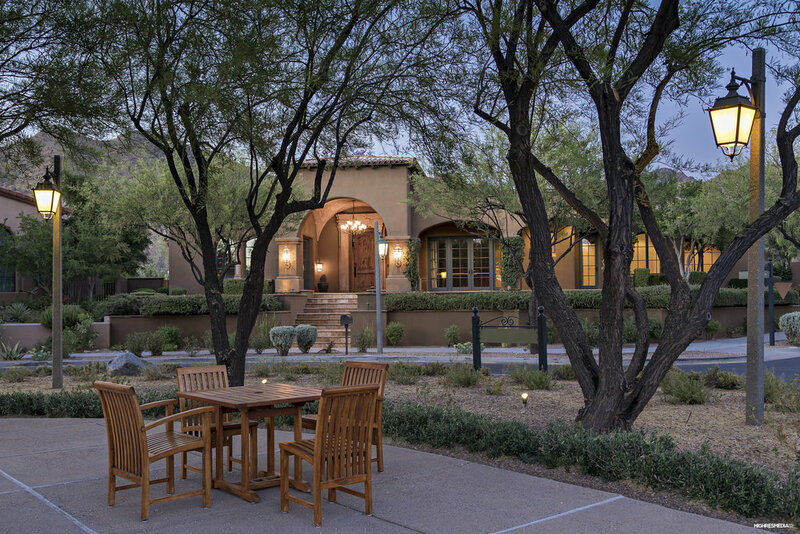 This nearly 6000 sf Spanish Mission residence sits proudly above Ethel's Garden park in the front and faces the 9th hole in back, allowing for unobstructed and dramatic mountain views. Fantastic floorplan featuring a master bedroom plus two guest suites, private office & media room in the main home; guest house and bonus room accessible from the central courtyard. 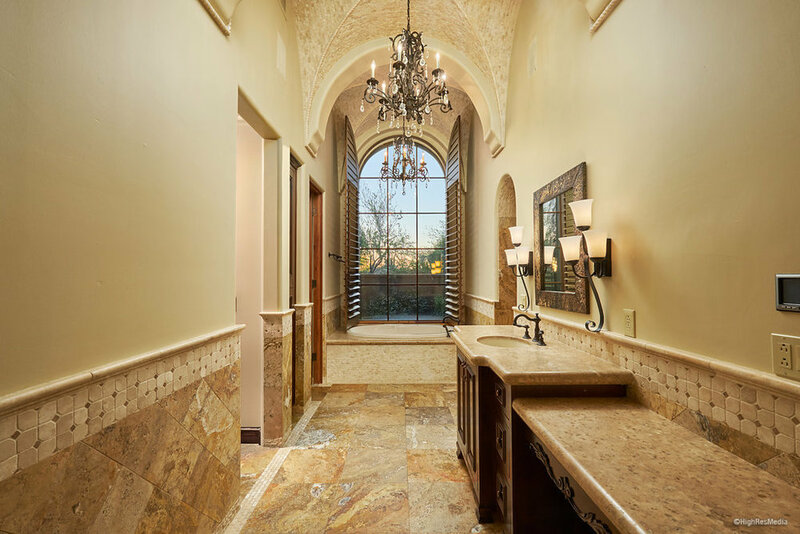 Stunning detailing found throughout, including reclaimed wide-plank oak and stone flooring, ceiling beamwork, custom cabinetry, top-end appliances &cappuccino maker, and decorative stone details in all bathrooms. 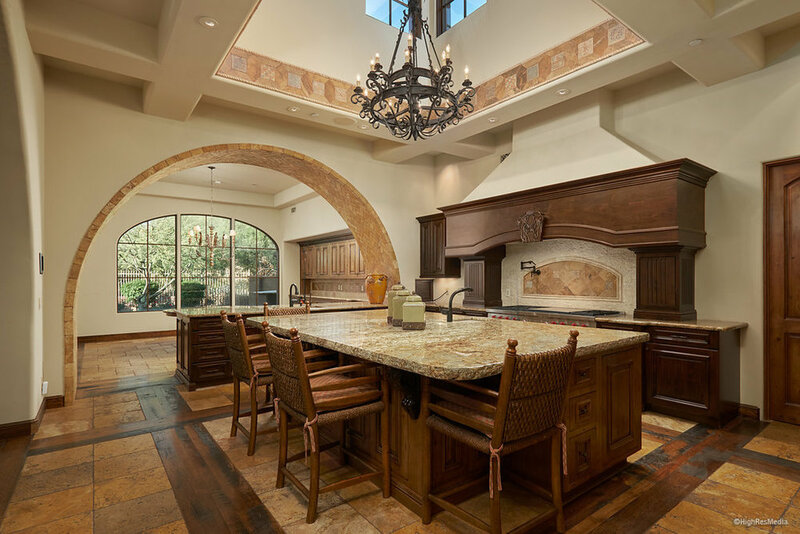 The extremely private backyard is highlighted by a gracious pool and BBQ area, all taking in the wide expanse of the McDowell Mountains.